Have anda ever cried while watching at least a "Gakuen Alice" Episode? Is hotaru considered lebih beautiful in the komik jepang than mikan? There will be a season 2 , 3 and lebih than? Does anyone know if the komik jepang is really over at chapter 180? plllleeaaassseee tell me no!! Who is the only boy in this picture? 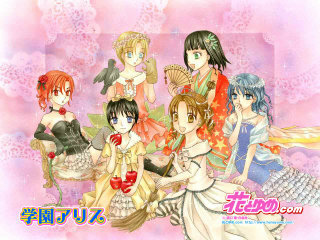 Where are the fan of Alice academy(gakuen alice)??? ?